01/12/2016 CD65/2016 – CENTLEC (SOC) LTD A MUNICIPAL ENTITY DISTRIBUTING ELECTRICITY IN MANGAUNG AND OTHER MUNICIPALITIES REQUIRE SUITABLE SERVICE PROVIDER TO PROVIDE GENERAL REPAIRS AND MAINTENANCE SERVICES TO CENTLEC (SOC) LTD OWNED FLEET OF VEHICLES AND OTHER INTERNAL COMBUSTION MACHINERY. 01/12/2016 RFP46/2016 – CENTLEC (SOC) LTD A MUNICIPAL ENTITY DISTRIBUTING ELECTRICITY IN MANGAUNG AND OTHER MUNICIPALITIES REQUIRE SUITABLE SERVICE PROVIDER TO SUPPORT AND MAINTAIN THE ON-LINE PREPAYMENT VENDING SYSTEM. 09/12/2016 RFP36/2016 CENTLEC (SOC) LTD A MUNICIPAL ENTITY DISTRIBUTING ELECTRICITY IN MANGAUNG AND OTHER MUNICIPALIES REQUIRE SUITABLE SERVICE PROVIDER FOR OUTSOURCING OF DEBT COLLECTION SERVICES. CD44/2015 – CENTLEC (SOC) LTD A MUNICIPAL ENTITY DISTRIBUTING ELECTRICITY IN MANGAUNG AND OTHER MUNICIPALITIES REQUIRE SERVICES OF CONTRACTORS FOR DEWEEDING AND CLEANING OF SUBSTATIONS IN THE CENTLEC SUPPLY AREA. CENTLEC would like to invite contractors for de-weeding and cleaning of substations in the Centlec supply area. Minimum Requirements – Any omission of the listed items would render an automatic disqualification. Submit at least one letter of reference of previous employers on similar work done successfully. The letters must be signed by the duly authorized authority. Submit a valid original tax clearance certificate. Letter of good standing from the Compensation Commissioner. Supply municipal services (water, sanitation, rates and electricity) clearance certificate or Lease Agreement with a Current Bill of Account not owing more than 30 days. Evaluation criteria, functionality details will be found on the document. Documents will be available only from the 31st of May 2016 from 08.30am until 15.00pm. Compulsory Site Visit: 30 Rhodes Avenue, in front of Supply Chain Offices. Address bids to “Chief Executive Officer of CENTLEC (SoC) Ltd, Private Bag X14, Brandhof, 9324” and endorse the envelope with the contract number and closing date. Late bids, telegraphic bids or bids send by fax will not be considered. The lowest or any bids will not necessarily be accepted and the Municipality reserves the right to accept where applicable a portion of any bid. Section 217 of the Constitution of the Republic of South Africa requires an organ of state to contract for goods and services in accordance with a system, which is fair, equitable, transparent, competitive and cost effective. The Supply Chain Management Policy of the CENTLEC has been drawn up to give effect to these principles and the Preferential Procurement Legislation, and furthermore comply with the provisions of the Local Government: Municipal Finance Management Act, 2003 (Act No 56 of 2003) and regulations promulgated in terms thereof. Bids are to be completed in accordance with the conditions and bid rules contained in the bid documents. Bid documents must be properly indexed and neatly binded. Loose bids would not be considered for Evaluation. CENTLEC would like to invite registered contractors for supply and delivery of trainer – electrical motor starter panels, ct/vt panels, energy metering panels 1ø & 3ø, rotating electro – magnetics panel, protection relay panel, mcb & hrc fuse testing panel, combination/dual boiler & steam generator panel, relay panel (for fault finding) including motors, workstations and plc workstations . One (1) letter of reference from a previous company where a similar project was successfully completed and signed by the duly authorized company representative. Valid original tax clearance certificate. Supply municipal services (water, sanitation, rates and electricity) clearance certificate or Lease Agreement with a Current Bill of Account not owing more than 30 days or Lease Agreement. Proof of ISO 9001 accreditation for the manufacturer of the goods. Documents will be available only from the 31st of May 2016 from 08.30am until 15:00. 09/06/2016 - Re-advert CD 59/2015 – CENTLEC (SOC) LTD, A MUNICIPAL ENTITY DISTRIBUTING ELECTRICITY IN MANGAUNG AND OTHER MUNICIPALITIES, REQUIRE THE SERVICES OF SUITABLE SERVICE PROVIDER TO SUPPLY AND INSTALL REPLACEMENT AND ADDITIONAL AIR-CONDITIONING UNITS. Re-advert CD 59/2015 – CENTLEC (SOC) LTD, A MUNICIPAL ENTITY DISTRIBUTING ELECTRICITY IN MANGAUNG AND OTHER MUNICIPALITIES, REQUIRE THE SERVICES OF SUITABLE SERVICE PROVIDER TO SUPPLY AND INSTALL REPLACEMENT AND ADDITIONAL AIR-CONDITIONING UNITS. CENTLEC would like to invite suitable service provider to bid for supply and install replacement and additional air-conditioning units. One (1) letter of reference from previous companies where similar work was done. The letter must be signed by the duly appointed authority in the company concerned. Supply municipal services (water, sanitation, rates and electricity) clearance certificate or lease agreement with a current bill of account not owing more than thirty (30) days or lease agreement. Industry Affiliate Comply, the bidder must be registered with relevant industry associations e.g. South African Refrigeration and Air Conditioning(SAIRAC), South African Refrigeration and Air Conditioning, Contractors Association (SARRACA). Provide proof of mentioned accreditations. Valid letter of good standing from the Compensation Commissioner at the department of Labour. Compulsory Site Meeting: 21st of June 2016 @ 10:00 – 30 Rhodes Avenue. Address bids to Chief Executive Officer of CENTLEC (SoC) Ltd, Private Bag X14, Brandhof, 9324” and endorse the envelope with the bid number and closing date. 09/06/2016 - RE-ADVERT 58/2015 – CENTLEC (SOC) LTD, A MUNICIPAL ENTITY DISTRIBUTING ELECTRICITY IN MANGAUNG AND OTHER MUNICIPALITIES, REQUIRE SERVICE PROVIDER FOR SUPPLY OF STATIONARY POWER TRANSFORMERS, PAVEMENT MOUNTED SUBSTATIONS AND RELATED ACCESSORIES. RE-ADVERT 58/2015 – CENTLEC (SOC) LTD, A MUNICIPAL ENTITY DISTRIBUTING ELECTRICITY IN MANGAUNG AND OTHER MUNICIPALITIES, REQUIRE SERVICE PROVIDER FOR SUPPLY OF STATIONARY POWER TRANSFORMERS, PAVEMENT MOUNTED SUBSTATIONS AND RELATED ACCESSORIES. CENTLEC would like to invite registered service providers for Supply and Delivery of stationary power transformers, pavement mounted substations and related accessories. Supply municipal services (water, sanitation, rates and electricity) clearance certificate or Lease Agreement with a Current Bill of Account not owing more than 30 days not owing more than thirty (30) days or Lease Agreement. Proof of ISO 9001 quality accreditation (a certified copy of the accreditation will suffice). This requirement applies to the manufacturer and/or the repairer of the goods and not necessarily the distributor. 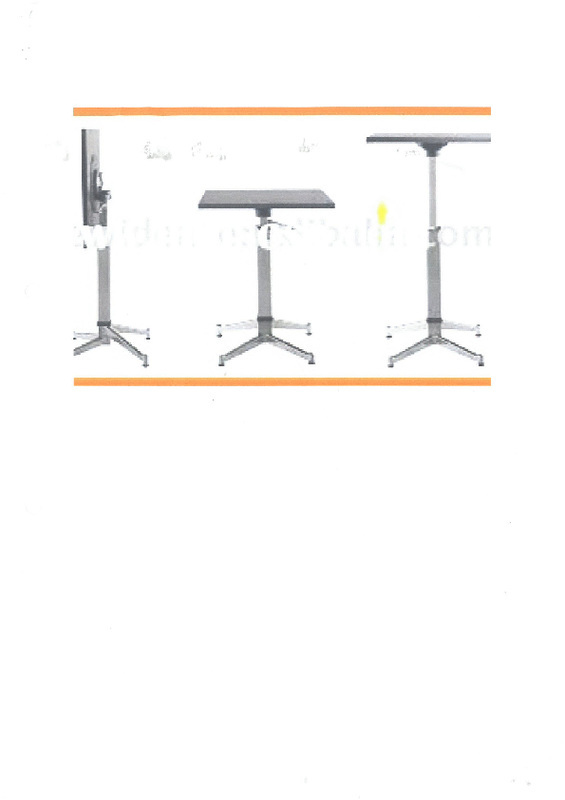 The distributor will still have to provide proof that the manufacturer is ISO 9001 quality accredited. Documents will only be available from Tuesday 14th of June 2016 and thereafter on weekdays from 08:00am until 15:00pm only. 09/06/2016 - Re-advert CD09/2015 – CENTLEC (SOC) LTD, A MUNICIPAL ENTITY DISTRIBUTING ELECTRICITY IN MANGAUNG AND OTHER MUNICIPALITIES, REQUIRE SERVICE PROVIDER FOR PROVISIONING OF INTERNET SERVICE PROVIDER. CENTLEC would like to invite registered service providers for Provisioning of Internet Service Provider. Documents will only be available from Tuesday 14th of June 2016 and thereafter on weekdays from 08:00 until 15:00 only. Address bids to Chief Executive Officer of CENTLEC (SoC) Ltd, Private Bag X14, Brandhof, 9324” and endorse the envelope with the contract number and closing date. 09/06/2016 - RE-ADVERT CD49/2015 – CENTLEC (SOC) LTD, A MUNICIPAL ENTITY DISTRIBUTING ELECTRICITY IN MANGAUNG AND OTHER MUNICIPALITIES, REQUIRE SERVICE PROVIDER FOR SUPPLY OF CENTLEC 12 KV INDOOR METAL CLAD SWITCHGEAR, FIXED PATTERN NON EXTENDABLE (RMU) SWITCHGEAR AND ASSOCIATED EQUIPMENT. RE-ADVERT CD49/2015 – CENTLEC (SOC) LTD, A MUNICIPAL ENTITY DISTRIBUTING ELECTRICITY IN MANGAUNG AND OTHER MUNICIPALITIES, REQUIRE SERVICE PROVIDER FOR SUPPLY OF CENTLEC 12 KV INDOOR METAL CLAD SWITCHGEAR, FIXED PATTERN NON EXTENDABLE (RMU) SWITCHGEAR AND ASSOCIATED EQUIPMENT. CENTLEC would like to invite registered service providers for Supply of Centlec 12 kV indoor metal clad switchgear, fixed pattern non extendable (RMU) switchgear and associated equipment. One (1) letter of reference from a previous company where similar work was done. Proof of ISO 9001 quality accreditation (a certified copy of the accreditation will suffice). This matter applies to the manufacturer and/or the repairer of the goods and not necessarily to the distributor. RFP 3812015 — CENTLEC (SOC) LTD, A MUNICIPAL ENTITY DISTRIBUTING ELECTRICITY IN MANGAUNG AND OTHER MUNICIPALITIES, REQUIRE THE SERVICES OF A REGISTERED PROFESSIONAL CONSULTANT (ARCHITECTS) TO PLAN, DESIGN AND PROJECT MANAGE THE CREATION OF OFFICE SPACE WITHIN THE OLD POWERSTATION WHILST PRESERVING THE POWERSTATION EQUIPMENT. CENTLEC would like to invite Registered Professional Consultants (Architects) for the planning, designing and to project manage the construction project of creating office space within the old PowerStation whilst preserving the existing equipment. • A valid letter of good standing from the Compensation Commissioner with the Department of Labour. • Valid original tax Clearance Certificate. • A valid proof of registration with professional architectural bodies such as but not limited to the South African Council for the Architectural Profession (SACAP). Documents will be available only from Tuesday the 6th of October 2015 and thereafter on weekdays from 08:00 until 15:30 only. Address bids to Chief Executive Officer of CENTLEC (SoC) Ltd, Private Bag X14, Brandhof, 9324" and endorse the envelope with the bid number and closing date. 1. Late bids, telegraphic bids or bids send by fax will not be considered. 2. The lowest or any bids will not necessarily be accepted and the Municipality reserves the right to accept where applicable a portion of any bid. 3. Section 217 of the Constitution of the Republic of South Africa requires an organ of state to contract for goods and services in accordance with a system, which is fair, equitable, transparent, competitive and cost effective. 4. The Supply Chain Management Policy of the CENTLEC has been drawn up to give effect to these principles and the Preferential Procurement Legislation, and furthermore comply with the provisions of the Local Government: Municipal Finance Management Act, 2003 (Act No 56 of 2003) and regulations promulgated in terms thereof. • One (1) letter of reference from previous companies where similar work was done. The letter must be signed by the duly appointed authority in the company concerned. • A valid proof of registration with professional engineering bodies such as but not limited to the Engineering Council of South Africa. • Supply municipal services (water, sanitation, rates and electricity) clearance certificate or lease agreement with a current bill of account not owing more than thirty (30) days or lease agreement. I. Late bids, telegraphic bids or bids send by fax will not be considered. RFP36/2015 — CENTLEC (SOC) LTD, A MUNICIPAL ENTITY DISTRIBUTING ELECTRICITY IN MANGAUNG AND OTHER MUNICIPALITIES, REQUIRE SERVICE PROVIDER FOR OUTSOURCING OF DEBT COLLECTION SERVICES. • The bidder must have sufficient call Centre personnel (a minimum of 50 persons) within Mangaung Municipality region. • The prospective bidder must have sufficient financial and legal capacity. • Proof of registration/licenses required of a consumer and commercial collection agency. • The debt collection service provider (Consultant) shall be registered with the Council for Debt Collectors in terms of the Debt Collectors Act of 1998. Documents will be available only from Tuesday the 061 h of October 2015 and thereafter on weekdays from 08:00 until 15:30 only. CENTLEC would like to invite registered service providers for supply and delivery of Pillar Boxes, circuit Breaker, Fuse-units, Copper Busbar, Contactors & Daylight Switches, Ripple & Radio Control Receiver Relays & Current Transformers. • One letter of reference from previous company where similar projects was successfully completed and signed by the duly authorized company representative. • Valid original tax clearance. • Supply municipal services (water, sanitation, rates and electricity) clearance certificate or Lease Agreement with a Current Bill of Account not owing more than 30 days not owing more than thirty (30) days or Lease Agreement. • Proof of ISO 9001 accreditation for the manufacturer of the goods. Documents wil be available only from Tuesday 17 November 2015 and thereafter on weekdays from 08:00 until 15:30 only. Address bids to Chief Executive Officer of CENTLEC (SoC) Ltd, Private Bag X14, Brandhof, 9324" and endorse the envelope with the contract number and closing date. CENTLEC would like to invite registered service providers for servicing of fire Fighting Equipment. • One letter of reference from previous company where similar work was done. • Valid letter of good standing from the Compensation Commissioner with the Department of Labour. • The bidder centre(s) must be SANS 1475 approved by the Department of Labour. • The bidder must have technicians with S.A.Q.C.C(South African Qualifications and Certification Committee), registered and qualified to perform all safety critical maintenance work in your fire equipment. Documents will be available only from Tuesday 17 November 2015 and thereafter on weekdays from 08:00 until 15:30 only. CD 59/2015 – CENTLEC (SOC) LTD, A MUNICIPAL ENTITY DISTRIBUTING ELECTRICITY IN MANGAUNG AND OTHER MUNICIPALITIES, REQUIRE THE SERVICES OF SUITABLE SERVICE PROVIDER TO SUPPLY AND INSTALL REPLACEMENT AND ADDITIONAL AIR-CONDITIONING UNITS. Documents will be available only from Tuesday the 17th of November 2015 and thereafter on weekdays from 08:00 until 15:30 only. 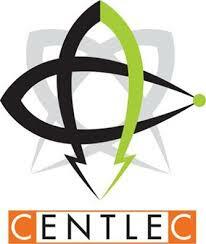 CENTLEC would like to invite registered service providers for provisioning of alarm system for Centlec. 4, The Supply Chain Management Policy of the CENTLEC has been drawn up to give effect to these principles and the Preferential Procurement Legislation, and furthermore comply with the provisions of the Local Government: Municipal Finance Management Act, 2003 (Act No 56 of 2003) and regulations promulgated in terms thereof. QUOTATIONS ARE HEREBY INVITED TO SUPPLY ATTACHED SCHEDULE. Documents are obtainable at R50.00 non-refundable deposit per set. (Deposit can be made at ABSA BANK Acc. No. : 407 820 9583, Branch Code: 632 005, Ref. : 501 204 260 2520 payable to CENTLEC (SoC) Ltd attention Supply Chain). DESCRIPTION: DATA Tech Set: 1,600mm x 1,200mm Core Desk, 600mm x 450mm Pedestal top with 4- drawer desk height pedestal and sliding door credenzas in Red Mahogany. DESCRIPTION: Data Tech Hinge door cupboards with 4 shelves, 1,800mm (h) in Red Mahogany. DESCRIPTION: 4- Drawer filing cabinets in red mahogany. SITE MEETING DATE: 13 NOVEMBER 2015 09H00 IN FRONT OF SUPPLY CHAIN OFFICES 30 RHODES AVENUE ORANJESIG. CLOSING DATE: 18 NOVEMBER 2015 @11 H00. INVITATION OF QUOTATION FROM SUITABLE SERVICE PROVIDER FOR SUPPLY AND DELIVERY OF WIRE: BARE SOLID COPPER 10mm DIA (50 MTR Length) 50Kg Roll. THE PREFERRED SERVICE PROVIDER MUST BE REGISTERED WITH THE SOUTH AFRICAN BUREAU OF STANDARD (SABS) AS A TECHNICIAN FOR INSTALLING AND SERVICING OF FIRE FIGHTING EQUIPMENT. WE WOULD ALSO LIKE THE SERVICE PROVIDER TO ASSIST WITH THE EVACUATION SIGNAGE AND CORRECT PLACEMENT OF THE FIRE EXTINGUISHER IN TERMS OF APPLICABLE REGULATION. N.B. Please provide detailed methodology for the above scope. ENQUIRY19/2015 – CENTLEC (SOC) LTD, A MUNICIPAL ENTITY DISTRIBUTING ELECTRICITY IN MANGAUNG AND OTHER MUNICIPALITIES, REQUEST FOR PROPOSAL BY REGISTERED ELECTRICAL CONSULTING ENGINEERS WITH THEIR APPLICABLE PROFESSIONAL TEAM FOR THE DESIGN, PROCUREMENT, DELIVERY, INSTALLATION, TESTING, COMMISSIONING, AND HANDOVER OF TWO 30MVA, 132/11kV TRANSFORMERS COMPLETE WITH ONLINE TAP CHANGERS, RELEVANT 132kV SWITCHING, ISOLATION AND PROTECTION EQUIPMENT, A COMPLETE SET OF 11kV METAL CLAD SWITCH GEAR WITH ASSOCIATED PROTECTION, METERING, CONTROL AND RELATED EQUIPMENT, AN ACCESS ROAD TO, AND THE UPGRADING OF THE SECURITY AND SURVEILLANCE SYSTEM AT THE EXISTING FICHARDT PARK SWITCHING STATION. CENTLEC would like to invite registered service providers for the design, procurement, delivery, installation, testing commissioning and handover of two 30MVA 132/11kV Transformers. The omission of anyone of the listed items would render an automatic disqualification. One (1) letter of references from previous companies where similar work was done. The letter must be signed by the duly appointed authority in the company concerned. Valid original tax clearance certificate. Submit a valid Mangaung Metro municipal services (water, sanitation, rates, and electricity of local office) clearance certificate or a Lease Agreement of the local office with a Current Bill of Account not owing more than thirty (30) days or Lease Agreement. A valid proof of registration with professional engineering bodies such as, but not limited to the Engineering Council of South Africa for a full time employed Engineer/Technologist or owner of the company. Valid letter of good standing from the Compensation Commissioner at the Department of Labour. Documents will be available only from Tuesday 26 January 2016 and thereafter on weekdays from 08:00 until 15:30 only. CENTLEC would like to invite registered service providers for the design and project management of the proposed Maphikela Distribution Centre. One (1) letter of references from previous companies where similar work was completed successfully. The letter must be signed by the duly appointed authority in the company concerned. Valid letter of good standing from the Compensation Commissioner at the Department of Labor. RFP45/2015 – CENTLEC (SOC) LTD, A MUNICIPAL ENTITY DISTRIBUTING ELECTRICITY IN MANGAUNG AND OTHER MUNICIPALITIES, REQUEST FOR PROPOSALS FROM PROFESSIONAL ELECTRICAL ENGINEERING CONSULTANTS AND THEIR TEAM FOR THEIR BIDS ON PROPOSALS FOR, AND TURNKEY MANAGEMENT OF THE FOLLOWING TWO PROJECTS IN BOTSHABELO FOR PERIOD OF 3 (THREE) YEARS. B) AT THE EXISTING SUB F DISTRIBUTION CENTRE, THE ADDITION OF TWO 20MVA 132/11KV TRANSFORMERS COMPLETE WITH THEIR ONLINE TAP CHANGERS, TWO NEUTRAL EARTHING COMPENSATORS WITH RESISTORS AND THE RELEVANT ADDITIONAL 132KV SWITCHING AND ISOLATION EQUIPMENT COMPLETE WITH ITS ASSOCIATED PROTECTION, CONTROL AND MONITORING EQUIPMENT TO BE PLACED IN THE EXISTING YARD LAYOUT AND BUILDING. CENTLEC would like to invite registered service providers for turnkey management of the two projects in Botshabelo. A compulsory site meeting will be held for all contractors to inspect and to ascertain themselves with the amount and nature of work required prior to submitting their proposals. The project team will be in attendance on the date of the site meeting, as specified by the Supply Chain Management office. Only proposals submitted by bidders who have attended the compulsory site meeting will be considered for acceptance. 2.1 It is the responsibility of the contractor to visit the site during the quotation phase and to familiarize him or herself with the conditions related to it. 2.2 No claim for additional payment related to ignorance of site conditions will be accepted. 2.3 By submitting a quotation, it is accepted that the contractor is fully aware of all site conditions as well as the access to it, and has allowed for this in his/her quotation price. CENTLEC reserves the right to extend the proposals date or postpone the site meeting. 3.2 Sweeping of pathways and all hard surfaces. 3.3 Litter collection and removal. 3.6 Equipment required are; tools, lawnmowers, weed eaters, vehicles and trailers. All tools and equipment must be in good condition and must be supplied by the successful bidder. 3.7 All PPE (Personal Protective Equipment) will be supplied by the successful bidder. 3.8 Damage to CENTLEC, private property or personal property due to negligence, will be for the account of the contractor. The Contractor must be insured for such damages by means of a valid public liability insurance policy. 3.10 Removal of all debris from the sites and clean the affected work areas. 3.11 The service provider must guarantee the presence of the senior in charge of fieldwork throughout the duration of the contract. 3.12 The service provider agrees to provide the services in accordance with the requirements set forth in the contract documents. It shall choose the most suitable processes, methods and equipment to perform its services under this contract, at competitive costs. Whenever the service provider is unable to respect a contractual stipulation, it shall notify CENTLEC within the maximum of two (2) days indicating its reasons and to provide the solutions. 3.13 Quality of works: The service provider shall undertake to perform all the services hereunder in accordance with the highest standards of professional and ethical competence and integrity. The service provider shall be responsible for the provisioning of materials, tools and equipment, as well as the quality and end result of the workmanships. The cost of remedying any defective works as result of negligence shall be borne by the service provider. 3.14 Compliance with regulations: The service provider shall ensure that the works and components thereof comply with Health and Safety Regulations and all other building standards that's applicable. 3.15 Liability: Nothing in these specifications shall be construed as placing the work under the specific direction or control of CENTLEC or relieving the service provider from his liability as an independent service provider and, as such. he shall be solely responsible for the method, manner and means by which he shall perform his work, including, but not limited to supervision and control of his own personnel and scheduling of the work required to insure its proper and timely performance and he shall exercise due care to prevent bodily injury and damage to property in the prosecution of the work. The service provider shall restore and make good at his own expense all injuries or damages to any portion of the work before its completion and acceptance. 3.16 On completion of the assignment to supply a recommendations report on how to best maintain the facilities for future years. 4.2 The successful service provider will have to ensure that the contractors to be appointed will be supplied with Safety Health Environment and Quality (SHEQ) specification. 4.3 The successful service provider will be expected to enter into a Service Level Agreement with CENTLEC. 4.4 The service provider will be remunerated only after an inspection was done and the work is found satisfactory. 4.2 Demolish the existing concrete driveway to correct the level with an approximate slope of three (3) meters into the premises. Remove the soil. 4.3 Cast new concrete (30 MPA) driveway with 110mm concrete and secure the strength with steel welded mesh. Concrete surfaces thoroughly compacted and be float finished. 4.4 Fit a platform in front of the security booth to ensure sufficient access and safety of the security officer. 4.5 Secure the excavation sides with 220mm retaining walls as well as steel side rails with intermediate support. 4.6 The rails should be properly treated with an undercoat, painted black and fitted with chevron stickers for proper night visibility. 4.8 Fit the gate with a new Centurion D5 gate motor with anti-theft bracket and 9mm antitheft padlock. 4.9 External fence and razor wire to be repaired and made good. 5.1 To contact CENTLEC's project manager after receipt of the order and before work commences. This will ensure that internal security measures are met and that proper arrangements can be made before alterations begin. 5.2 Demolition and debris removal: Removal of all debris from the sites and clean the affected work areas. 5.3 The service provider must guarantee the presence of the senior in charge of fieldwork throughout the duration of the contract. 5.4 The service provider agrees to provide the services in accordance with the requirements set forth in the contract documents. It shall choose the most suitable processes, methods and equipment to perform its services under this contract, at competitive costs. Whenever the service provider is unable to respect a contractual stipulation, it shall notify CENTLEC within the maximum of two (2) days indicating its reasons and to provide the solutions. 5.5 Quality of works: The service provider shall undertake to perform all the services hereunder in accordance with the highest standards of professional and ethical competence and integrity. The service provider shall be responsible for the provisioning of materials, tools and equipment, as well as the quality and end result of the workmanships. The cost of remedying any defective works as result of negligence shall be borne by the service provider. 5.6 Compliance with regulations: The service provider shall ensure that the works and components thereof comply with Health and Safety Regulations and all other building standards that's applicable. 5.7 Liability: Nothing in these specifications shall be construed as placing the work under the specific direction or control of CENTLEC or relieving the service provider from his liability as an independent service provider and, as such, he shall be solely responsible for the method, manner and means by which he shall perform his work, including, but not limited to supervision and control of his own personnel and scheduling of the work required to insure its proper and timely performance and he shall exercise due care to prevent bodily injury and damage to property in the prosecution of the work. The service provider shall restore and make good at his own expense all injuries or damages to any portion of the work before its completion and acceptance. 5.8 On completion of the assignment to supply a recommendations report on how to best maintain the facilities for future years. 6.2 The successful service provider will have to ensure that the contractors to be appointed will be supplied with Safety Health Environment and Quality (SHEQ) specification. 6.3 The successful service provider will be expected to enter into a Service Level Agreement with CENTLEC. 6.4 The service provider will be remunerated only after an inspection was done and the work is found satisfactory. CENTLEC would like to invite registered contractors to assist with the disconnection, reconnection and follow up of connections in the Mangaung area of supply. A minimum of 1 letter of reference from previous companies where similar work was done successfully. Supply proof of registration with ECB. Supply a valid letter of good standing with the Compensation Commissioner. Supply a valid municipal services clearance certificate, or Current Bill of Account not owing more than 30 days or Lease Agreement. Documents will be available only from the 22tnd of March 2016 from 08.30am until 15.30pm. RE- ADVERT – RFP27/2015 – CENTLEC (SOC) LTD, A MUNICIPAL ENTITY DISTRIBUTING ELECTRICITY IN MANGAUNG AND OTHER MUNICIPALITIES, REQUIRE SERVICE PROVIDER TO SUPPLY A SUITABLE AUTOMATED METER READING SYSTEM WITH ASSOCIATED OPERATIONAL SERVICES. CENTLEC would like to invite registered service providers to supply a suitable AUTOMATED METER READING System with associated operational services. One (1) letter of reference from previous companies where similar work was done. Documents will be available only from Tuesday the 15th of March 2016 and thereafter on weekdays from 08:00 until 15:30 only. CD21/2015 – CENTLEC (SOC) LTD, A MUNICIPAL ENTITY DISTRIBUTING ELECTRICITY IN MANGAUNG AND OTHER MUNICIPALITIES, REQUIRE SERVICE PROVIDER FOR SUPPLY AND DELIVERY OF OVERHEAD POWERLINE EQUIPMENT. CENTLEC would like to invite registered service providers for supply and delivery of Overhead Powerline Equipment. One (1) letter of references from previous companies where similar projects were successfully completed and signed by the duly authorized company representative. Documents will be available only from Tuesday 22nd of March 2016 and thereafter on weekdays from 08:00 until 15:30 only. CLOSING DATE: 28 APRIL 2016 @ 11H00. CLOSING DATE: 08 June 2016 @11H00. CLOSING DATE: 08 June 2016 @ 11H00. 51 11.GAS: HOUSEHOLD GAS 19KG. CLOSING DATE: 24 August 2016 @ 11H00. NB: SERVICE PROVIDERS ARE ADVISED THAT PRICE GIVEN ABOVE WILL REMAIN VALID FOR THE DURATION OF THE CONTRACT NO EXEPTIONS WILL BE MADE. DESCRIPTION OF GOODS OR SERVICES REQUIRED (SPECIFICATION) IF THE SPECIFICATION IS LONGER THAN THE SPACE PROVIDED PLEASE ATTACH THE DETAILED SPECIFICATION SEPARATELY. ​CORONATION, VISTA, MANGAUNG, BOTSHABELO K, BOTSHABELO F, AND OOSWERF. ​Service provider must be able to drive to Botshabelo on their own. ​Supply, delivery and installation of Emergency / Fire escape door as per the attached specifications at Power Station office block & Training centre Auditorium. CENTLEC invites suitable service providers to quote for the supply and installation of escape/fire doors at the PowerStation ground floor as well as Auditorium of Training Centre. National Building Regulations and Building Standards Act 103 of 1977, T2 (2) states: “Any person who causes or permits any escape route to be rendered less effective or to be obstructed in any way which may hinder or prevent the escape of any person from a building in the case of fire or other emergency shall be guilty of an offence.” The act further states under TT19.5 “ …. any access door or any other door, being a component of an emergency route shall be a hinged door which shall open in the direction of egress”. The fire doors should comply with the requirements in SANS 1253. The fire door should be fitted with a self-closing or automatic closing device in accordance with SANS 1253. To provide detailed instructions on the operations of the door, which can be affixed to the nearby wall and to ensure that the details are clearly indicated on the fire plan. 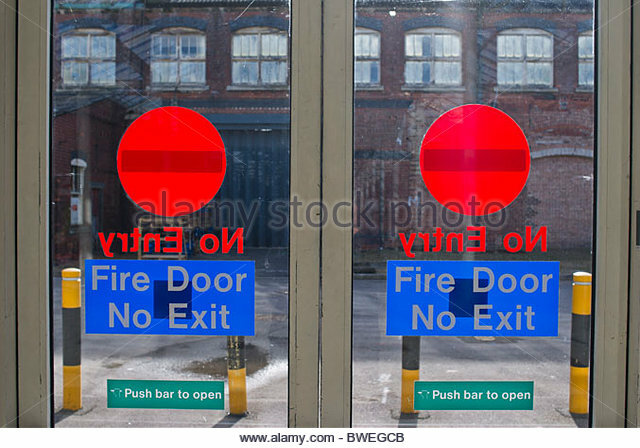 Exit signs should be supplemented by text bearing the words "FIRE EXIT" in noticeable lettering. ​The emergency exit doors must be fitted with a typical up-market touch-bar panic latch-bar on the emergency exit doors, and these must all comply with the National Building Regulations and with SABS 0400 -1990. The doors’ panic bar must be ‘operable by body-weight’. Being self-latching, it allows the door to lock automatically when closed. A regular panic bar with vertical rods (illustrated below) will lock the door at top and bottom, offering good security against outside attack. ​Doors need to be correctly hung and free-swinging from the fully-open to the fully closed position. 3.1 Demolition and debris removal: Removal of all debris from the sites and clean the affected work areas. 3.2 The service provider must guarantee the presence of the senior in charge of fieldwork throughout the duration of the contract. 3.3 The service provider agrees to provide the services in accordance with the requirements set forth in the contract documents. It shall choose the most suitable processes, methods and equipment to perform its services under this contract, at competitive costs. Whenever the service provider is unable to respect a contractual stipulation, it shall notify CENTLEC within the maximum of two (2) days indicating its reasons and to provide the solutions. 3.4 Quality of works: The service provider shall undertake to perform all the services hereunder in accordance with the highest standards of professional and ethical competence and integrity. The service provider shall be responsible for the provisioning of materials, tools and equipment, as well as the quality and end result of the workmanships. The cost of remedying any defective works as result of negligence shall be borne by the service provider. 3.5 Compliance with regulations: The service provider shall ensure that the works and components thereof comply with Health and Safety Regulations and all other building standards that’s applicable. 3.6 Liability: Nothing in these specifications shall be construed as placing the work under the specific direction or control of CENTLEC or relieving the service provider from his liability as an independent service provider and, as such, he shall be solely responsible for the method, manner and means by which he shall perform his work, including, but not limited to supervision and control of his own personnel and scheduling of the work required to insure its proper and timely performance and he shall exercise due care to prevent bodily injury and damage to property in the prosecution of the work. The service provider shall restore and make good at his own expense all injuries or damages to any portion of the work before its completion and acceptance. 3.7 On completion of the assignment to supply a recommendations report on how to best maintain the facilities for future years. 6.1 The successful service provider will be required to submit a Health and Safety file before the commencement of duties. The Health and Safety file will have to meet the CENTLEC standard.